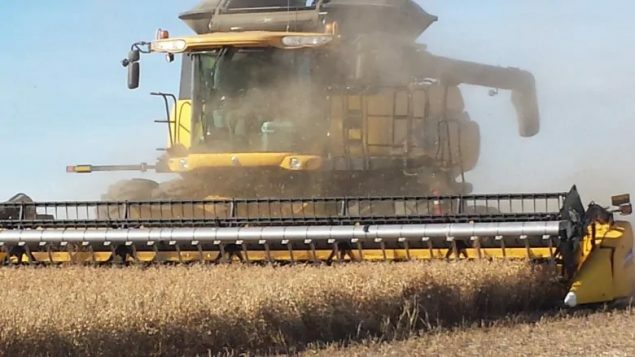 While much of the news of protests against the federal Liberal carbon tax is coming from the oil-rich province of Alberta, farmers in neighbouring Saskatchewan have calculated some of their costs, and its extensive. 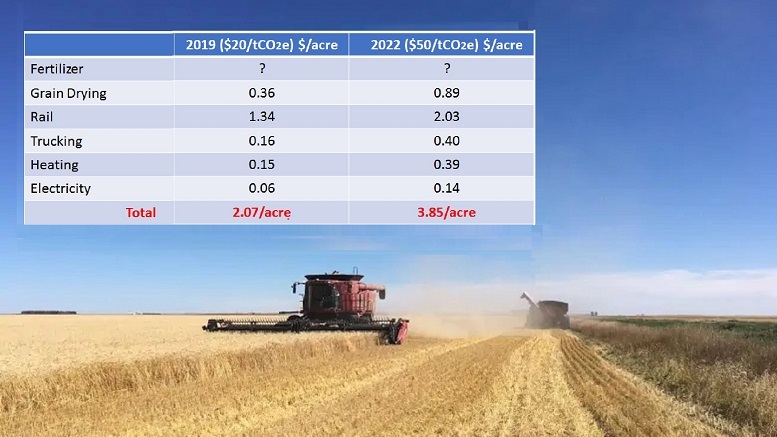 Th Agricultural Producers Association of Saskatchewan estimated costs for the current year at an additional $2 per acre, set to rise to $3.85/acre by 2022. The federal government said the tax in 2019 represented only 4.4 cents per litre of gasoline, but the tax will affect much more than vehicle fuel. 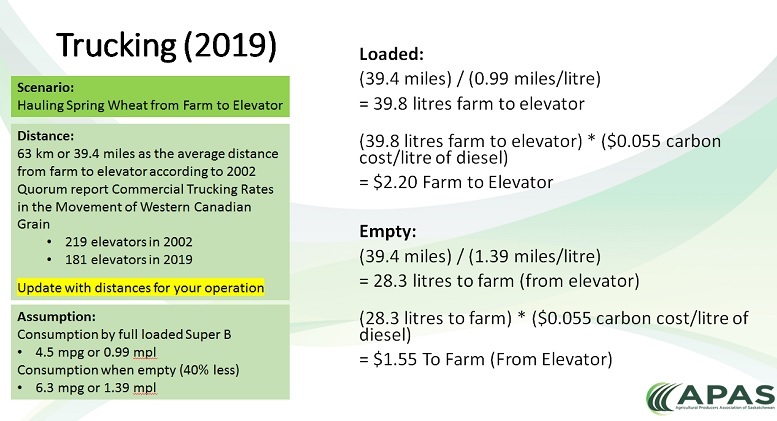 The APAS estimated costs for some key aspects of farming for the provinces 20,000 grain producers. The estimate did not include increases in fertilizer costs due to a complex variation in taxation rates of fertilizers. . Based on estimates of 30- million planted acres in the prairie province, APAS estimates total costs to grain farmers in Saskatchewan this year alone will be around $60 million. Todd Lewis is president of the Association. In an APAS press release he said “We do not have alternative modes of transportation or technologies or services that we can use to lower our exposure to these taxes. We can’t choose not to heat our animal facilities or to not dry damp grain”. He also noted it would be an additional burden for farmers as they can’t pass along the costs if they want to compete in a world market where competitors don’t have carbon taxes. While the federal government has promised rebates, Lewis said that won’t begin to cover costs. The cost estimate comes after a massive rally in the provincial capital which saw hundreds of huge trucks from farms, oil exploration companies, trucking firms and others who drove in convoy to Regina to show their opposition to the federal tax.